Most things can be done in Vivaldi with the keyboard alone, such as creating windows, tabs and Notes. Go to Settings > Keyboard to start adding or editing shortcuts. 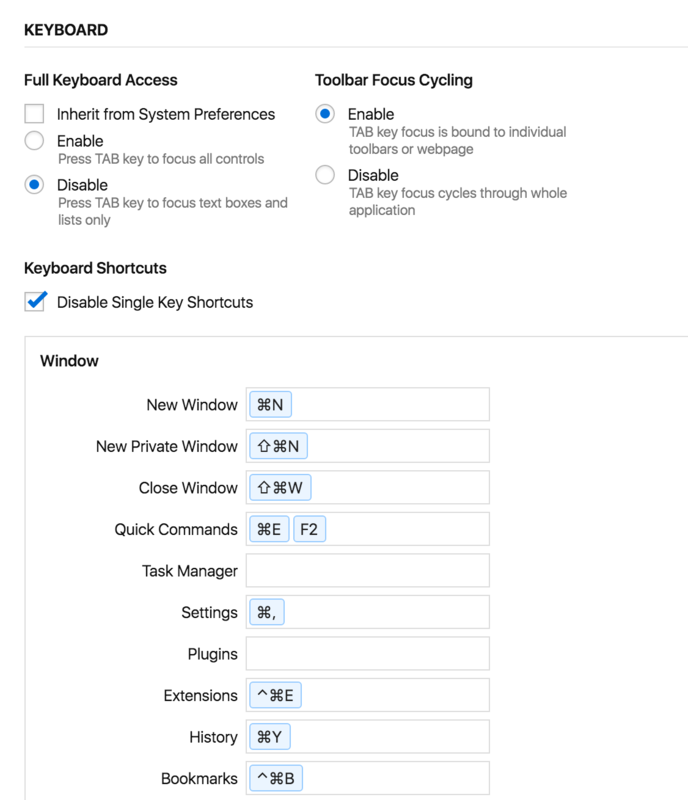 Delete a keyboard shortcut using the (x) Delete button to the right of the input field. To edit a shortcut, place the cursor in the input field and enter the preferred key sequence. 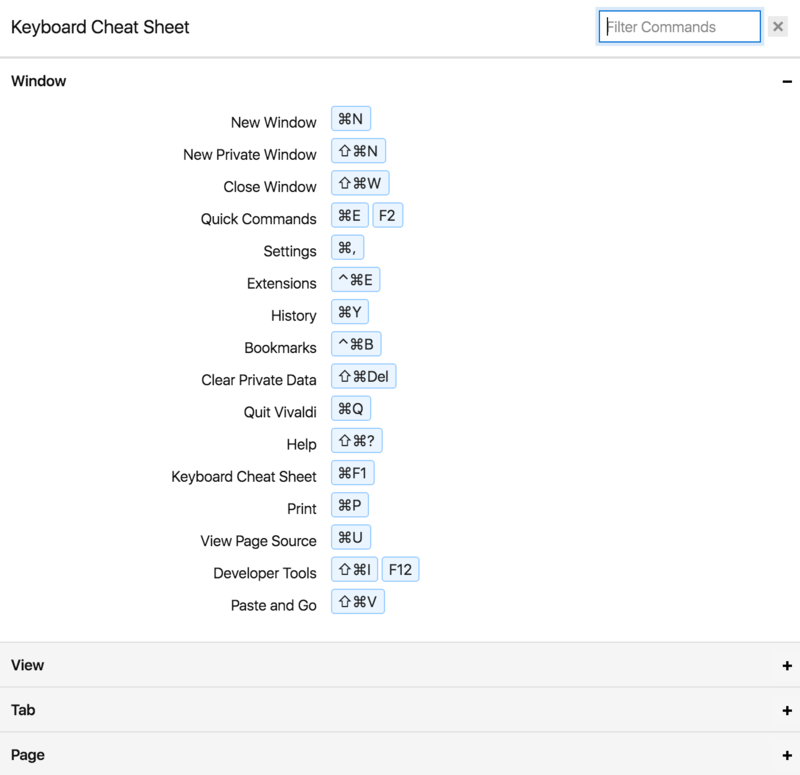 The keyboard shortcut Ctrl F1 / ⌘ F1 gives you a cheat sheet of all the available keyboard shortcuts.